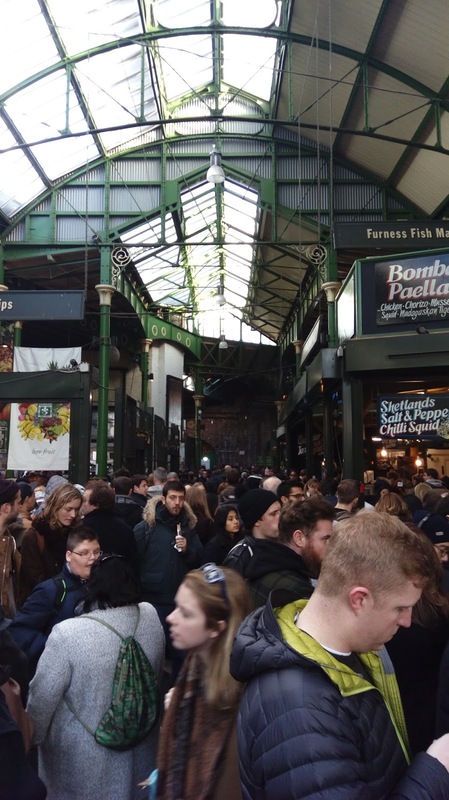 I recently took a trip back to the UK, so thought I’d document one of the oldest and best markets for foodies in London. 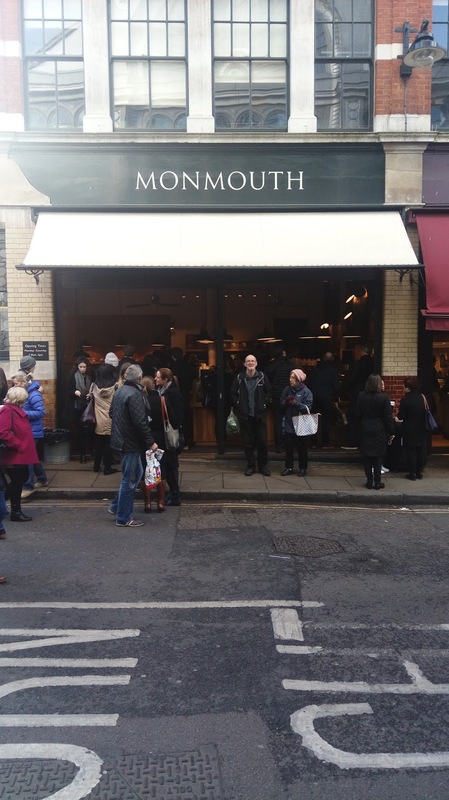 Monmouth coffee is definitely the place to be starting off your Borough Market journey. 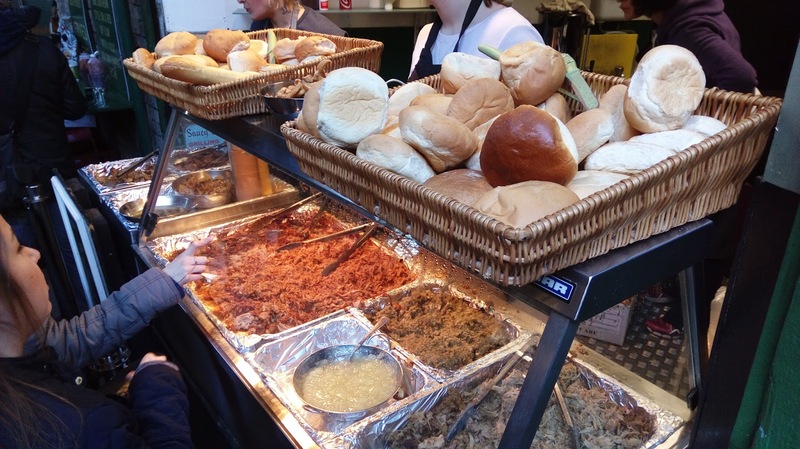 You’d need this in order to conquer the masses of people if you decide to tackle Borough Market on the weekend. 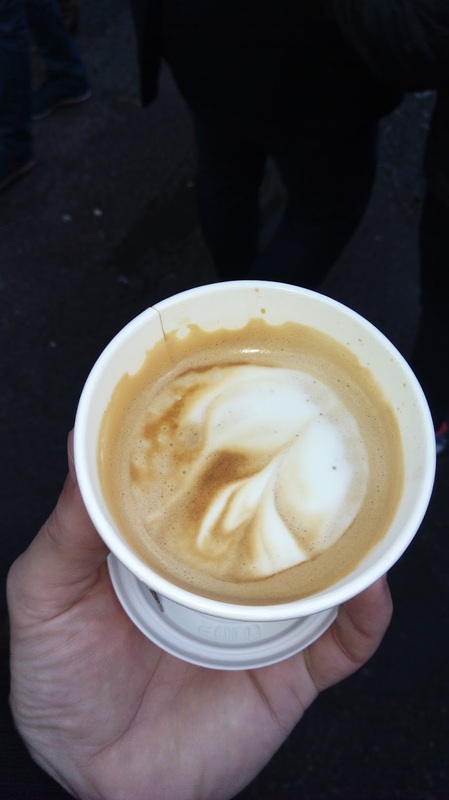 Solid Flat white. The milk tastes like full-fat milk and gives it a good depth of flavour. The coffee itself is also very nice. 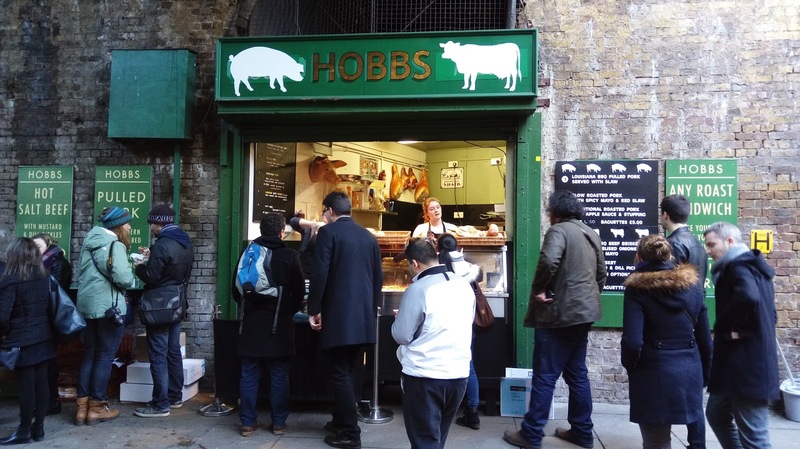 If you start at Monmouth Coffee, as I did, and work your way through the south section of Borough Market without grabbing any food (I’d be very shocked, for one), then I would highly recommend HOBBS. I went for N0. 4. 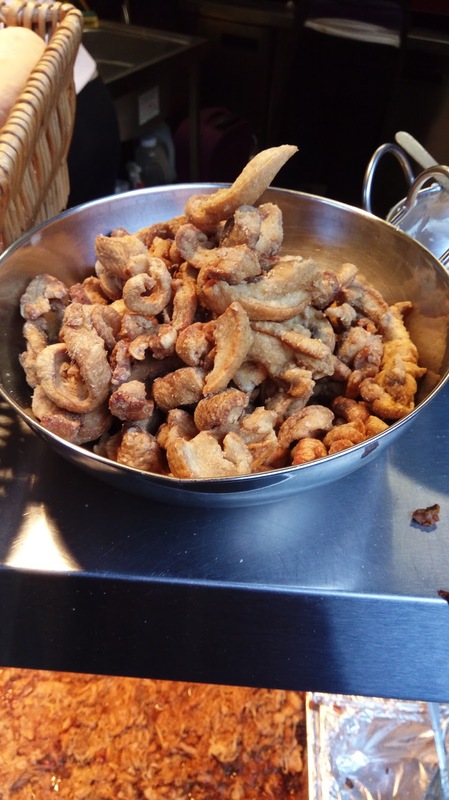 If you really want your fill of English snacks, then try the Pork Scratchings here. Crunchy, salty, fatty, moreish and as English as it gets. 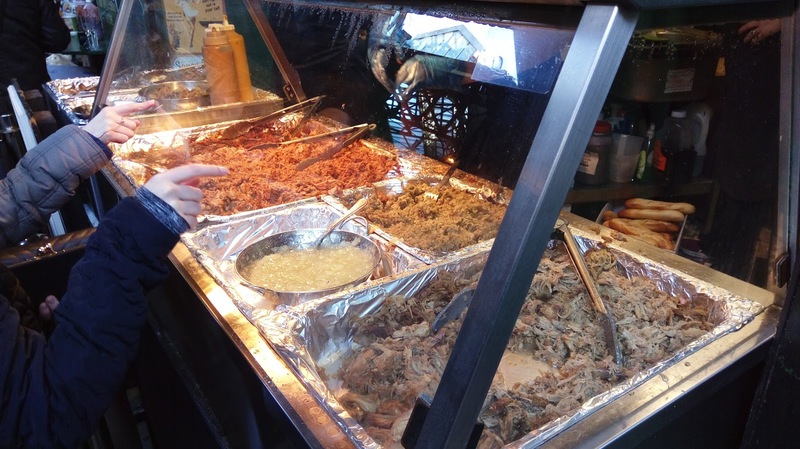 If you can’t visualize what meat you can see or match it up with the menu, then just go for the classic – point and nod. 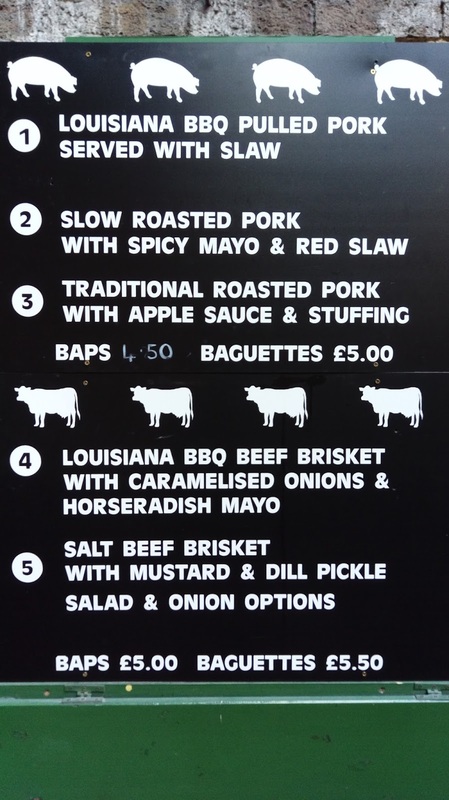 The Number 4 – Louisiana BBQ Beef Brisket with caramelized onions and horseradish mayonnaise. I think, from this picture, that the beef here looks a bit dry. But, it most certainly isn’t. 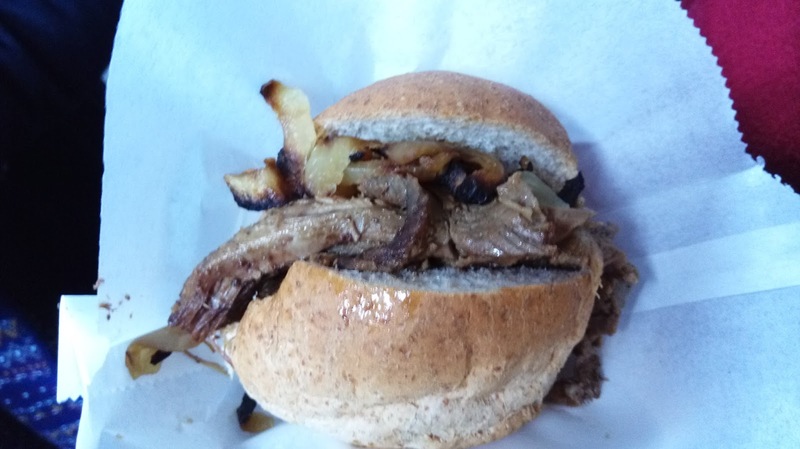 The beef in this brisket sandwich is deliciously succulent, and the fried onions are in no way greasy, either. The horseradish cream used inside gives a big kick (bordering on too much) of fresh spice that can be likened to Wasabi. However, it isn’t quite worth the price tag, I don’t think. 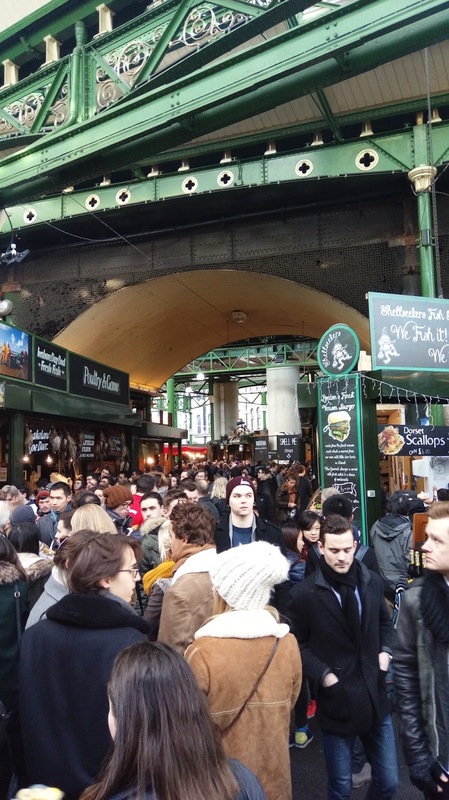 Borough market has such a diverse collection of stalls and restaurants ranging from oysters to fine Spanish prosciutto’s. However, we went for The Veggie Table, here. 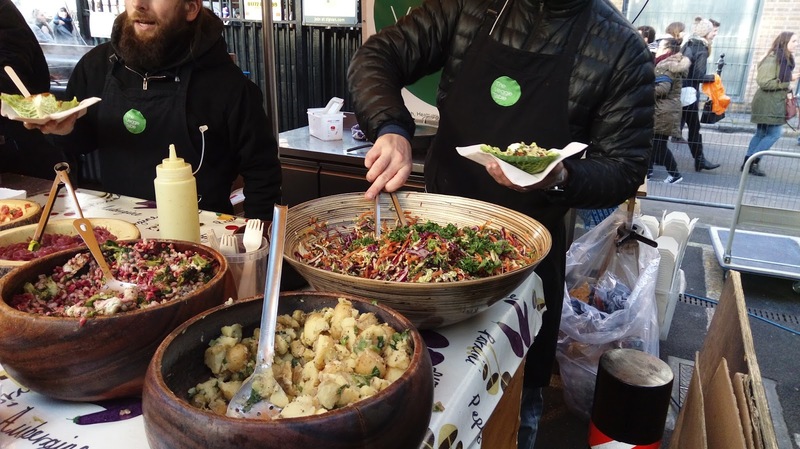 The Veggie table offer up all sorts of vegetarian and vegan quick bites. 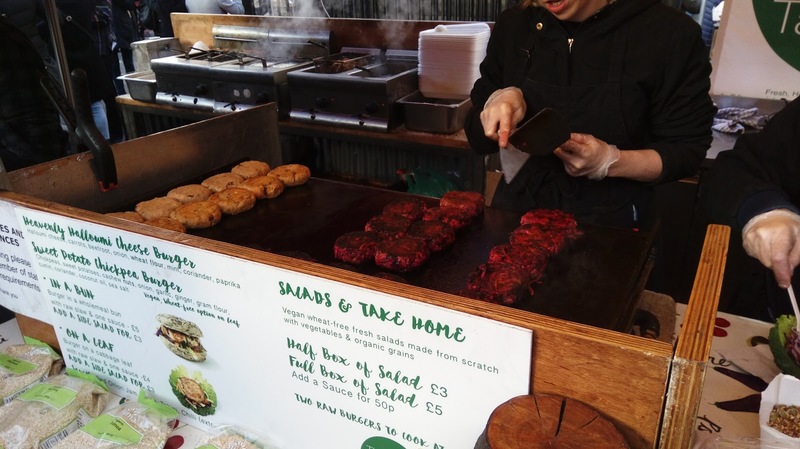 On the right is the Heavenly Halloumi Cheese Burger, and on the left is the Sweet Potato Chickpea Burger. 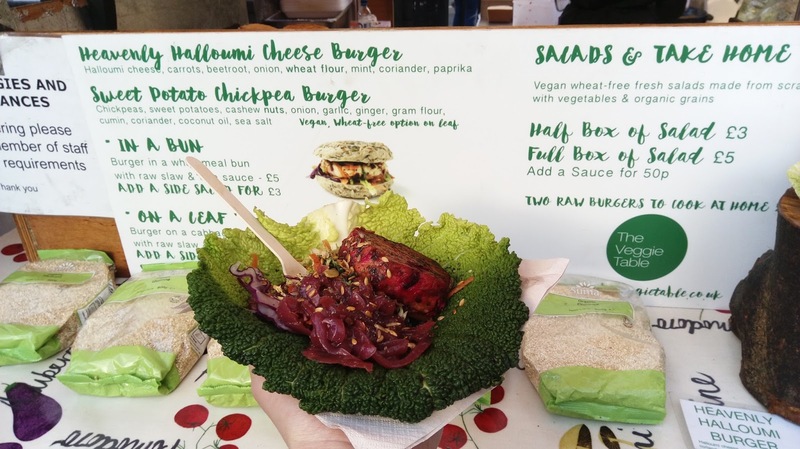 As they were out of buns 😦 I went for the Heavenly Halloumi Cheese Burger ‘on a leaf’. The burger itself is a very strange texture and feels soft, mushy and not an altogether pleasant consistency. As for the taste: it was good. I am not going to wax lyrical and say it was the best thing I have ever tried, but it offered up some clean flavours and paired with the red pickled onions quite well. I didn’t eat the leaf. 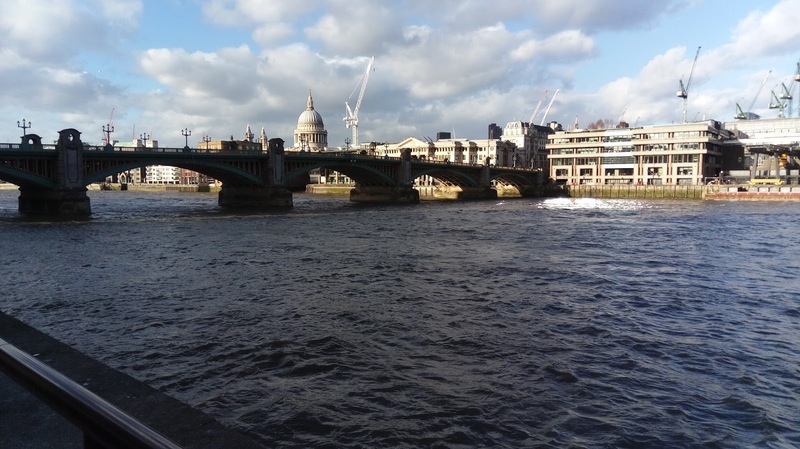 One of the amazing things about Borough Market is that it is a short (5mins or so) walk from The Thames, with such views of Paul’s Cathedral. If it’s a nice day (rare, I know) then I would highly recommend a walk along the riverside or even hop onto a boat using your oyster card, seeing the city from a different point of view. Just imagine there aren’t any cranes to block out this otherwise quite pretty skyline.